Wherein my Turquoise TWSBI Diamond 580AL (IF) is paired with Robert Oster Fire & Ice. 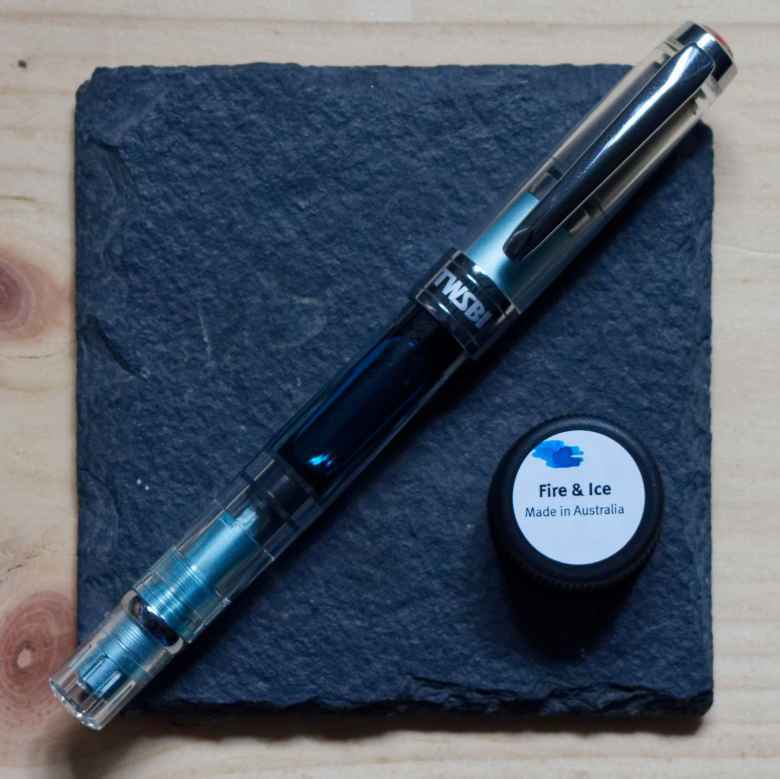 On March 16, 2018 my Turquoise TWSBI Diamond 580AL (IF) joined its comrades when it was filled with Robert Oster Fire & Ice. The pen was in use for 7 months and was emptied and cleaned on October 29, 2018 , saying good-bye to its fellows. I don’t know what I was waiting for, but I’ve been waiting to use this pen and this ink, individually and as a combination. So, despite all the blue ink already in pens I decided that life is too short to keep waiting to use a pen and an ink that I’m excited about. It’s not often that I buy a bottle of ink without first getting a sample, but after getting a letter or two written with Fire & Ice, and all the social media attention it garnered when it first came out, I took a chance. I’m expecting good things from this combination. The ink lives up to the hype. I did indeed get a red sheen as so many commented on. I also found a pleasant color and always enjoyed using the ink. The nib needs a bit more attention, as it feels like there is a burr somewhere; some days it was pronounced, others it was nowhere to be found. That ended up causing me to mentally ignore the pen. I’ll have to work on the nib and try this combination again.